The Bellator Heavyweight Grand Prix is not the only interesting tournament of big men out there. South Korea’s Road Fighting Championship is delivering on perhaps one of the things Asian MMA is best known for: openweight tournaments. The field is diverse. 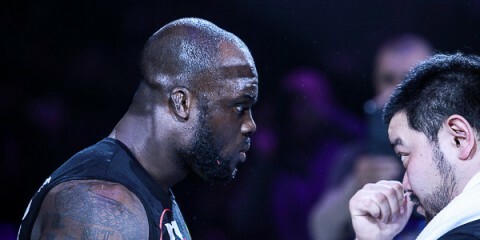 It includes a showdown between UFC veteran Gilbert Yvel and 47-year-old Bellator vet Siala “Mighty Mo” Siliga, a contest pitting UFC and Bellator veteran Oli Thompson against sub-.500 Chinese fighter Chaolong Deng, and a scrap that pairs 23-year-old Asian star Aorigele against winless Road FC mainstay Jae Hoon Kim. However, the most intriguing bout in this quarterfinal round of the tournament features Chris “Huggy Bear” Barnett and Romanian MMA legend Alexandru Lungu. 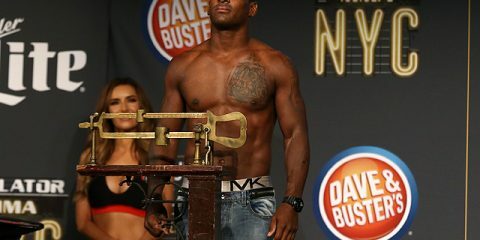 Barnett, 31, has one of the highest winning percentages in the field, and he’s already registered victories over such notables as M-1 regular Kenny Garner, current UFC fighter Walt Harris and grizzled journeyman Travis Wiuff. In December, he snapped a three-fight skid when he scored a second-round knockout of Gun Oh Shim. The knock on Barnett is in his decline over the last several years. After launching out of the gates in 2009 and compiling a 13-1 mark, with his only loss coming against Eric Prindle, Barnett has since gone on to post a disappointing 3-5 stretch. In that span, he lost to fellow tournament participant Thompson, as well as Kirill Sidelnikov, Hyun Man Myung (twice, including once in which he was unable to continue after suffering a low blow that landed him in the hospital) and UFC veteran Alex Nicholson. 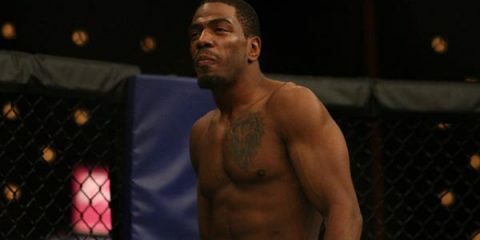 Barnett, who has made stops at such famed camps as the Blackzilians and Jackson-Wink, has finished 13 of his opponents via strikes. The 43-year-old Lungu is an even larger super heavyweight than Barnett. “Sandu” frequently tips the scales in the range of 330 to 350 pounds. The Romanian has been active as a pro since 2005, when he debuted in Pride in a losing effort against James Thompson. Lungu returned to Europe and won 16 of his next 19 fights. Along the way, the big man topped such notable names as Pride veteran Tom Erikson, longtime journeyman Ruben Villareal and Jimmy Ambriz, and fellow tournament participant Mighty Mo. The decorated judoka has also fought professionally as a kickboxer, and he even defeated Bob Sapp in kickboxing action in 2011. The Romanian has never seen the scorecards in his MMA career. Instead, he’s put away 11 opponents by some form of knockout, submitted an additional five foes and suffered four knockout losses. Road FC’s openweight tournament is good old-fashioned Asian freakshow-fight fun. Thompson and Aorigele should move on to the next round with ease, but this fight and the contest between Mighty Mo and Yvel should prove to be far more competitive battles. Mo has held Road’s openweight championship, which makes him a tourney favorite, but he’s also stumbled against fellow participant Lungu. Yvel has only fought twice since 2011. Both are killers, so one man is probably going to end up staring at the lights overhead before the evening is through. The same could prove true between Barnett and Lungu. These two men aren’t too fond of letting fights go the distance. Barnett looked like a true prospect early in his career, but his recent struggles are a concern. 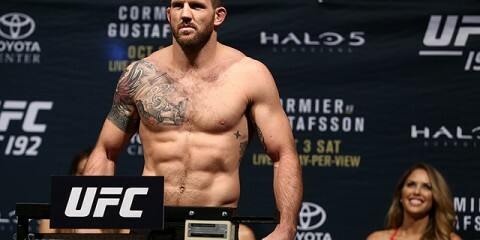 Former UFC middleweight Nicholson was able to bring a quick end to Barnett’s night, and the “Huggy Bear” had already lost a rematch to Myung, a .500ish fighter. Lungu is no spring chicken, though, and his advanced age could play a factor in this bout’s outcome. Barnett, despite his size, tends to be quite athletic. To call Lungu huge would be an understatement, and he tends to move more like a super heavyweight is expected to move. With his size, power and takedown abilities, Lungu can’t be discounted. Barnett’s not the same fighter he was earlier in his career. He has proven to be susceptible to the knockout, and he’s faced with an opponent who can score the finish. However, Barnett has defeated far better opponents throughout his career — and definitely on a more regular basis. Lungu has been feeding on very low-level opponents lately, and that will to his detriment. A win by either man wouldn’t be a shocker, but the slight nod goes to Barnett to be the first to land flush and score the stoppage to advance in the grand prix. Just five months ago, Yoshitaka Naito was on top of the MMA male strawweight world. He held the ONE title and an undefeated mark, and it didn’t look like he could be dethroned. Along came Brazilian fighter Alex Silva. Silva, pegged as Naito’s next victim, instead put up a valiant effort and edged Naito over the course of five rounds to capture the belt. Now, the pair reverse roles in their rematch. Naito is the challenger, while Silva enters the cage as a champion who has won his last six fights. After a 2011 debut on the regional scene, Silva joined ONE Championship and has been a promotional mainstay ever since. With a dearth of strawweight talent on the male side of MMA, the Brazilian was forced to jump between the strawweight level and the flyweight division. He lost his ONE debut to Geje Eustaquio, but rebounded with five straight submission victories. During his run, Silva tapped Rene Catalan, Ruel Catalan, Robin Catalan, Roy Doliguez and Hayato Suzuki. Four of the submissions came in the first round. Silva’s nod over Saito was only his second fight to go the distance. The 35-year-old is a product of Evolve MMA. Naito has been a Shooto mainstay since his pro debut in 2012. The 34-year-old finished his first three opponents and scored decisions in his next four fights to earn a title berth against Shinya Murofushi for Shooto’s flyweight — that’s 115 pounds in Shooto-speak — title. “Nobita” battled Murofushi for nearly five full rounds before finishing the champ with a rear-naked choke with just three seconds left in the bout. With the dramatic late finish, Naito captured the title. The Paraestra Matsudo export returned to action 10 months later to make his first title defense against teenage prospect Ryuto Sawada. Naito emerged with an arm-triangle choke submission victory in the fourth round to retain the belt. His next successful defense came in a five-round battle with Junji Ito. ONE Championship then brought the star strawweight in to fight for its 115-pound title against the promotion’s formerly undefeated champion, Dejdamrong Sor Amnuaysirichoke. Naito claimed the gold with a fourth-round rear-naked choke of the defending champ. 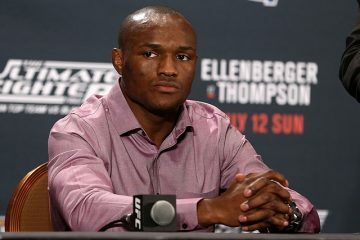 He made one successful defense of the strap with a submission finish of Joshua Pacio before dropping the belt to Silva. Naito, who stands 5-foot-7, will enjoy a height advantage over the 5-foot-4 Silva. He prefers to look for the clinch and takedown. Naito is a skilled grappler who opts for patience over a quick finish. He’ll wait for his opponent to make a mistake and then seize upon the opportunity. Unfortunately for the former champ, Silva is a very even match-up who plays a similar game. In their first meeting, Silva held back often while waiting for a counter. Naito wasn’t able to find a rhythm and had a difficult time getting his opponent to the ground and keeping the fight there. If the best Naito can do is to work for takedowns against the fence, then he’ll have little success against his Brazilian counterpart. Silva has been too good for his competition as a strawweight. This is likely to serve as a continuation to the pair’s first meeting. It’ll be a hard-fought contest that lasts a full 25 minutes. Silva should be able to maintain his approach from the first fight and once more grind out the decision victory. Watch Event: eirSport (United Kingdom) and Fite TV pay-per-view stream via Combat Press (outside of the UK). Live preliminary card stream available online at Facebook/UniladMag. BAMMA’s 35th offering doesn’t feature the depth that many of the promotion’s past cards have offered, but the headliner is a great test for welterweight prospect Alex Lohore. The 28-year-old was on a solid 10-fight run before he suffered a setback in his most recent outing. Now, he’ll seek to avoid back-to-back defeats when he meets veteran European competitor Ion Pascu. Now sitting at 14-2, Lohore has the more impressive record. “Da Kid” won his first four pro fights after debuting in 2014. His first stumble came in his fifth outing against Carl Booth, who put away Lohore with strikes in just 38 seconds. The British fighter responded by reeling off 10 straight wins. He faced mostly low-level competition until his last five fights, when he met — and defeated — UFC veteran Colin Fletcher, Dan “Vinni” Edwards, Nathan Jones and previously undefeated upstart Richard Kiely before losing to Terry Brazier. The first two wins in that stretch came in Bellator MMA when the American promotion visited Britain. The fight with Jones secured Lohore the BAMMA welterweight title, which he successfully defending against Kiely. The MMA Factory export has dispatched seven opponents via strikes and submitted an additional five foes. The 36-year-old Pascu has a slightly longer resume, but he lacks the same level of success that Lohore has tasted. The Romanian fighter debuted in 2008 and went 4-3 through his first seven fights. Pascu then found a bit more consistency and reeled off four straight wins, including a first-round finish of current UFC fighter Jack Marshman. He staggered through another rocky stretch in which he suffered losses to Max Nunes and current UFC fighter Jack Hermansson. Pascu righted the ship again to the tune of a five-fight winning streak, but then things fell apart. He has gone just 3-3 over his last six fights. His recent losses came to Bellator veteran Andreas Michailidis, former KSW champion Aslambek Saidov and accomplished collegiate wrestler Ed Ruth. Despite his recent losses, Pascu is anything but a walk in the park for Lohore. The Romanian was the first opponent to take Bellator’s super prospect Ruth the distance. Pascu has also been in the cage with some very talented fighters, whereas Lohore has a short list of top talents on his own resume. Pascu has stopped nine opponents by some form of knockout and another four by submission. The tough veteran has only been stopped once through 25 bouts. Lohore is at serious risk of falling for the second time in as many outings. “Da Kid” has plenty of finishing abilities, but he’s stuck in the cage with a guy who just doesn’t typically let his opponents end the fight. When Lohore has been pushed in this way, he dropped a split decision. If Pascu can force Lohore into deep waters, we could see another frustrating outcome for the British prospect.